Urban Design Projects incorporate our multi-disciplinary experience in architecture, site and landscape architecture, sustainable design, historic preservation, and community consensus building. 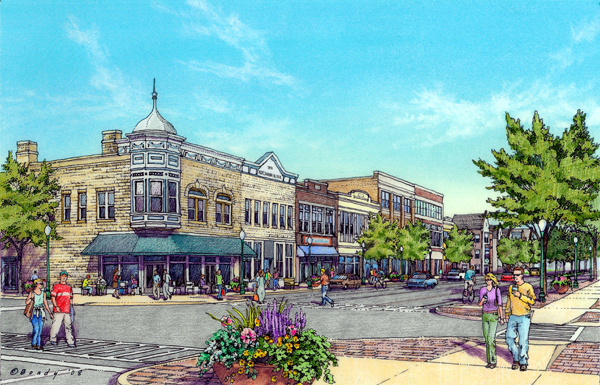 Our Urban Design Work includes a wide variety of planning projects including: Comprehensive City Plans, Master Plans, Park Master and Framework Plans, Sub-area Plans, Revitalization Plans, Transit Oriented Development Plans, Design Guidelines, and Streetscape Plans. Our approach to planning is outcome-oriented, using tools such as Smart Growth, New Urbanism and Green Building Standards to focus on sustainable development, historic and cultural assets, and environmental sustainability.